Vintage Blooms BOM - Queen or King! ONE LEFT!! Programs - Most Include Backing! > Vintage Blooms BOM - Queen or King! ONE LEFT!! 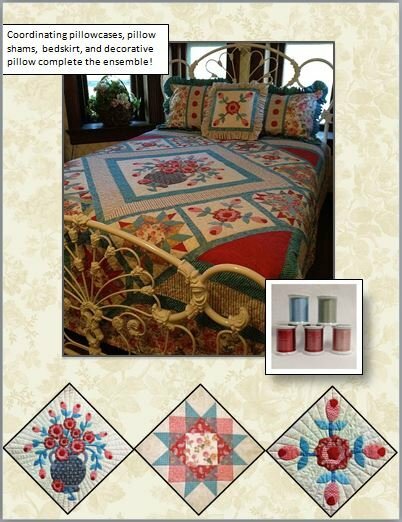 Queen Size - 101" x 101"
King Size - 115" x 115"
Vintage Blooms was originally designed for Patchwork Party as a finishing kit only. 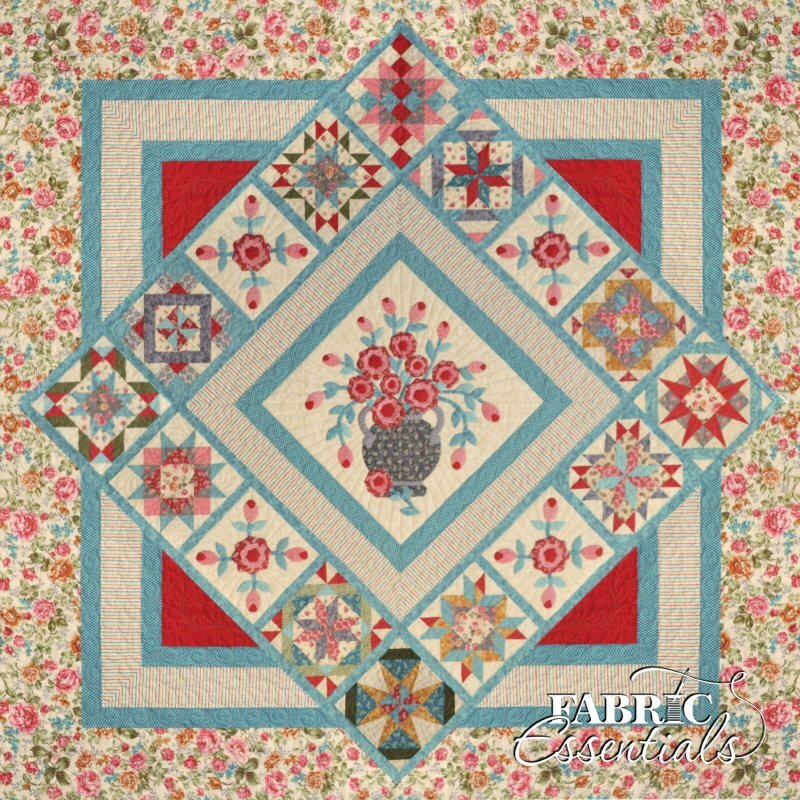 Now, the Vintage Blooms BOM program includes the 12 Patchwork Party blocks with pre-cut pieces. The applique has three simple flower shapes, leaves, buds, stems and vase. 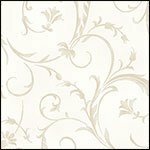 We provide full-scale traditional templates and placement guides for your applique. You can choose to turn under the edges or machine applique; there is enough fabric provided for either method. 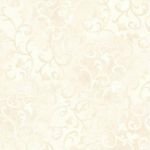 In both sizes, fabrics for the large rose border and diamond check border are cut length of fabric (LOF) so there are no seams in this beautiful fabric! * 12 Blocks with laser-cut pieces! 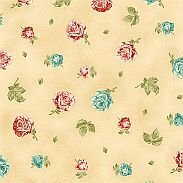 * Extra long LOF (length of fabric) cut of outer Border fabric so you will have no seams in your floral border! Backing for the King size quilt will be cut into three equal pieces to make it easier for you to work with! Vintage Blooms Accessories Make the Room! 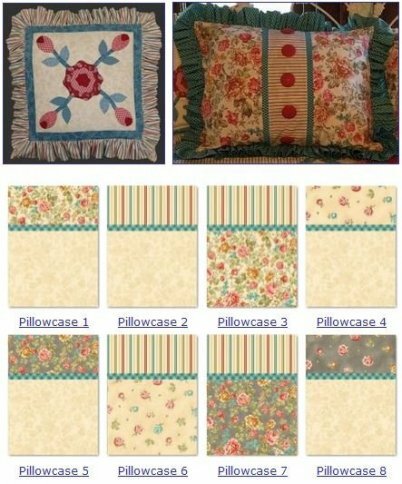 The Queen program includes: 12 pre-cut laser blocks (you just sew and go! 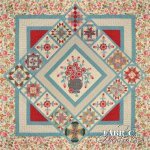 ), 12 1/4 yards of fabric for the quilt top and binding, 3 1/8 yards wide backing, the full-color pattern, detailed cutting diagrams, full-size applique templates and placement guide. The King program includes: 12 pre-cut laser blocks (you just sew and go! 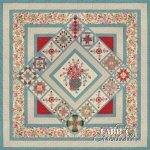 ), approximately 18 yards of fabric for the quilt top and binding, 10 1/2 yards coordinating backing, the full-color pattern, detailed cutting diagrams, full-size applique templates and placement guide. Kimino Applique Thread Kit - Coordinated especially for Vintage Blooms! 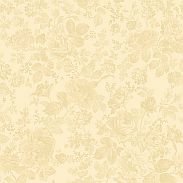 Kimono Silk is a very fine #100 pure silk thread that is ideal for fine detail machine quilting, hand applique & invisible machine applique. 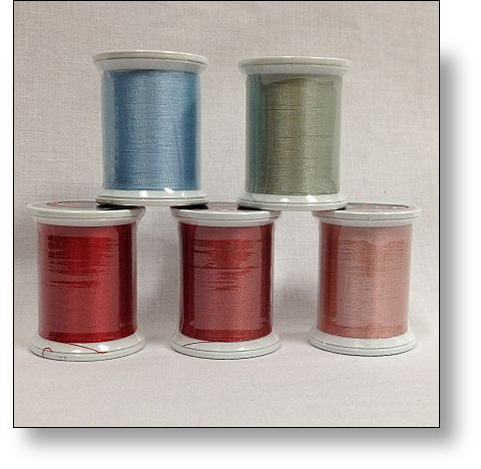 Recommended needles are Topstitch 70/10 or 80/12 for home machines & #14 (MR 3.0) for longarm machines. Want something you don't see? 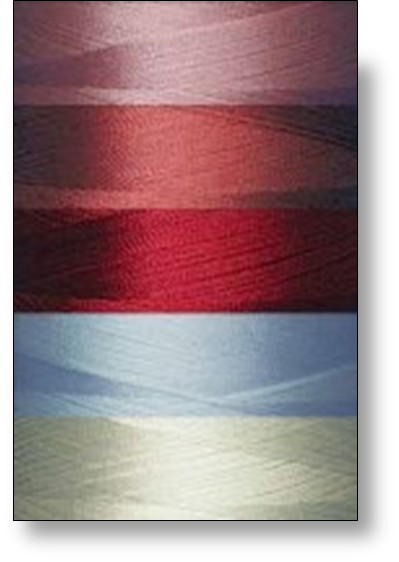 Call us at +1-785-243-4044 or email us a fabricessentials@yahoo.com and let us help you!